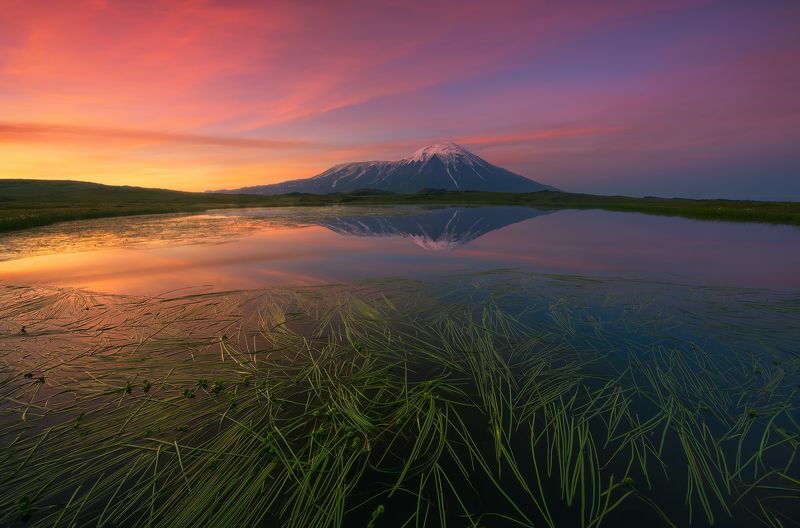 The Tolbachik Volcano is located on the Kamchatka Peninsula in Russia. The two peaks are 3,682 meters above sea level and 3,085 meters above sea level. The mountain consists of basalt and the most recent volcanic eruption occurred at the end of November 2012.